Deborah Jean Cowart, 66, was born in Jacksonville, Texas on June 24, 1952, the eldest of three children to the late Lt. Colonel Lewis Jackson and Millie Jean Cowart. She passed to the loving arms of Jesus on April 10, 2019, surrounded by her family. In 1964, at the age of 12, Debbie answered the call to trust and accept Jesus Christ as her Lord and Savior. This faith guided and sustained her until her death. Debbie graduated with honors from David Crockett High School in Austin, Texas in June, 1970. She played the clarinet in the band, was a member of the Concert Choir, National Honor Society, Latin Club, Young Life, and was Publications Representative from 1967 - 1970. In her spare time, Debbie devoted herself to St. David's Hospital Auxiliary. In high school, she was an active member of Beta Sigma Phi. Debbie was presented at The Snowflake Debutante Ball in December, 1969 at Bergstrom Air Force Base. As a pre-med student, she attended the University of Texas in Austin and resided in the Scottish Rite Dormitory. She also attended St. Edwards University in Austin, Texas and Brigham Young University in Provo, Utah. Tragically, at an early age, Debbie began suffering from a debilitating mental illness which prevented her from ever realizing her dream of following in the footsteps of her beloved uncle, Dr. James E. Cowart. 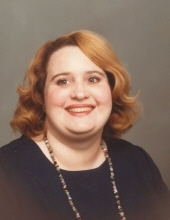 Debbie enjoyed church, family gatherings and dinners, beautiful jewelry, having her nails painted, Tuesday outings, long car rides to admire the scenery and playing her piano. Debbie loved the outdoors and the beauty of God's nature and creations. She shared love and acceptance with everyone she encountered. We could all learn from Debbie's example of how to take the time to love unconditionally and to find joy in life's most simple pleasures. As the daughter of an Air Force pilot, Debbie enjoyed visiting and living in many places in the United States and Europe, but among her favorites were Germany and Lubbock, Texas. She resided in Austin from 1967 until 2004 when she moved home with her mother, Millie, to her birthplace of Jacksonville. She enjoyed sitting on the front porch of her home with her loving cat, Bitsy Boo, until her declining mobility and health necessitated her move to Senior Care three years ago. The family would like to sincerely thank the nurses and staff of Senior Care for the sweet, loving attention and care they gave to Debbie. We also would like to thank Margaret Hightower and her Sunday School class of the First United Methodist Church for opening their arms to Debbie. She found love and acceptance among you and that was the greatest gift you could have given to Debbie. Debbie is survived by her sister, Kathleen Diane Cowart Glidewell; nephew, David Glidewell, and wife, Rachel; nephew, Tim Glidewell, and wife, Susie; niece, Michelle Glidewell Kearney, and husband, Jason; great nephew, Andrew Glidewell; great nieces, Tristen Glidewell, Taylor Glidewell, Kyndle Glidewell, and Autumn Kearney; as well as several cousins. Debbie was preceded in death by both her parents; her step-father, Colonel Charles Woodworth; her brother, Clayton David Cowart and brother-in-law, Jerry Wayne Glidewell. A funeral service is scheduled at 2 o’clock in the afternoon, Sunday, April 14, 2019 at Autry Funeral Home Chapel in Jacksonville. Rev. Doug Wintermute will officiate. Visitation will begin at 1 p.m. She will be laid to rest at Cedar Hill Cemetery in Rusk. Pallbearers will be David Glidewell, Tim Glidewell, Mike Phillips, Jerry Lewis, Tim Lewis and Jason Kearney. Rather than customary condolences, the family asks you instead make a contribution to a mental health organization. "Email Address" would like to share the life celebration of Deborah Jean Cowart. Click on the "link" to go to share a favorite memory or leave a condolence message for the family.